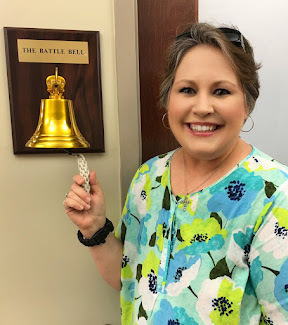 Journey Out of Pink: Happy 3rd Cancerversary to me! 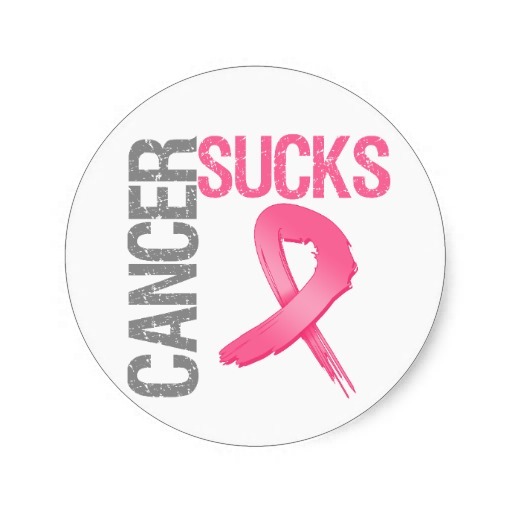 It's been 1096 days since I was first diagnosed with breast cancer. Today is my third cancerversary and it's hard to believe it's been three years since I was diagnosed with Stage IIB Invasive Ductal Carcinoma. We celebrated early (yesterday) with family at a local Chinese restaurant over a scrumptious dinner of all kinds of Chinese favorites. There was Moo Shu Chicken, Mongolian Beef, Egg Rolls, Fried Rice, Chicken Wor Bar, Sweet and Sour Shrimp, and some other dishes. We all ate to our hearts content sharing memories and laughter. It was a good time to just relax and let our hair down. Later, we came back to the house for cake and ice cream. The cake was from Publix and had delicious cream cheese frosting and a luscious center filled with chocolate and strawberries. It more than likely had a couple of thousand calories but we didn't mind! We were celebrating and calories didn't count. Throughout the day, I'd been emotional. It was hard not to think about all the things I'd been through over the past three years. I couldn't help but remember the surgeries and the pain. There had been many struggles and physical challenges. I'd spent 840 minutes underneath a linear accelerator being radiated. I'd been sick from radiation fatigue and had experienced radiation burns along my right chest and neck. I'd gone through physical therapy, manual lymphatic drainage, and spinal therapy. I'd traveled many miles to countless appointments. I'd spend untold amounts of time on phone calls to doctors. I'd dished out hundreds of thousands of dollars on medical bills, prescriptions, bandages and ointments. I'd had MRI'S, CT SCANS, BONE SCANS, PET SCANS, ULTRASOUNDS, CORE NEEDLE BIOPSIES, XRAYS, MAMMOGRAMS, and more. I'd given pints of blood for testing. I'd fought with insurance companies over medical equipment. I'd cried more tears than I could ever count in a million years. I'd suffered insomnia, nausea, cording, and Lymphedema. I'd tried three different anti-hormone therapy medications and had horrible side effects from each of them and the list goes on and on. But, along with all those challenging, heart wrenching, terrible, horrible, awful, very bad things, I'd also experienced many priceless, beautiful, unforgettable moments. And those were the ones I tried to occupy my mind with on Saturday. Those were the ones that mattered the most. I also thought about the people who'd been there to support me over the past three years. Some family members had been there through thick and thin while others had chosen not to be there at all. 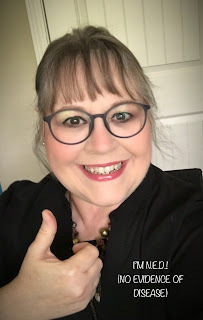 I'd made friends and connections with other breast cancer survivors through Facebook and breast cancer websites. I'd had complete strangers offer their love and support. It had been amazing! I have a briefcase full of greeting cards I've received over the past few years. Each and every one speaks volumes to my heart as I read them over and over again. Never in a million years did I dream I'd still be alive three years after being diagnosed with breast cancer. I still remember the day I heard the words, "YOU HAVE CANCER." I thought surely I'd be dead within the year, but I'm still here! God is so good and I am extremely grateful! It's been a wild, crazy, tumultuous rollercoaster of a ride and even though I'm still on it, I'm thankful the curves, twists, and hairpin turns have drastically slowed down. I keep pushing toward that miraculous 5 year mark my oncologist keeps talking about...the one that's supposed to mark the "approaching safety zone" where the fear of recurrence gets all but obliterated but it seems so far away. No matter how hard I try, I can't help but wonder if I'll ever experience another round of cancer. I surely hope not but if I do, I'll be better prepared the next time around. But I'm really, really hoping there's no next time.